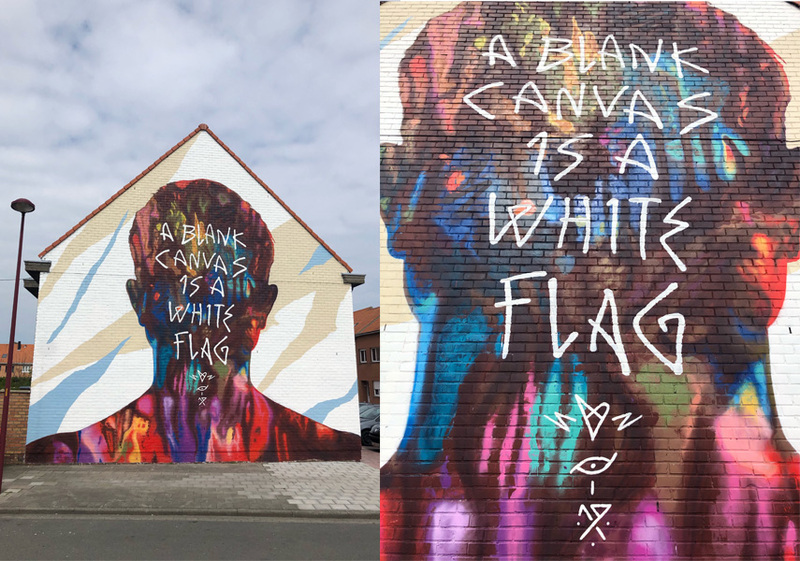 It is day 3 of The Crystal Ship street art festival in the Belgian town of Ostend, and things are heating up! 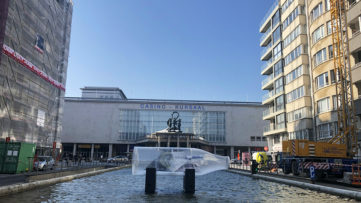 Outside the biggest mural of the festival still being painted by Paola Delfin, Mayor Bart Tommelein and curator Bjørn Van Poucke officially proclaimed The Crystal Ship 2019 open. 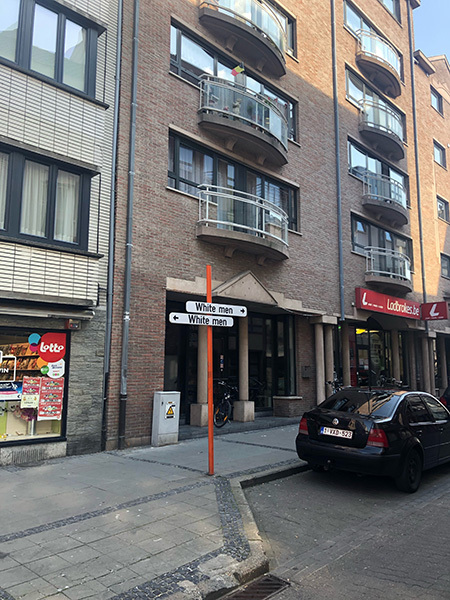 It was a very local affair, with residents attending and the speakers speaking mainly in Dutch. It was quite impressionable to see Bjørn (whom I interviewed yesterday) in front of a large depiction of him in the background. 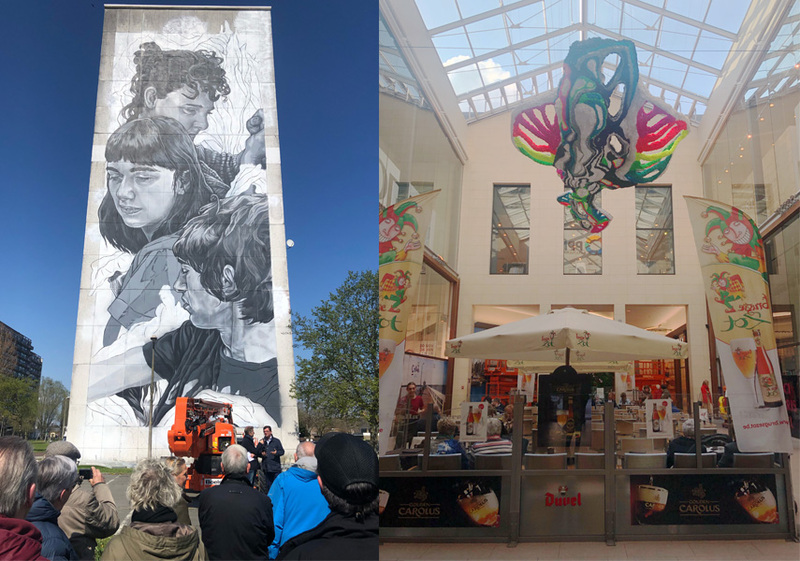 We also attended the installment of Crystal Wagner‘s artwork inside the historic building of Feest- en Cultuurpaleis, which is now housing the shopping mall. It took seven hours to get this multiple-part piece up hanging from the glass ceiling, meticulously made of wire, thread and recycled kite fabric in different colors. 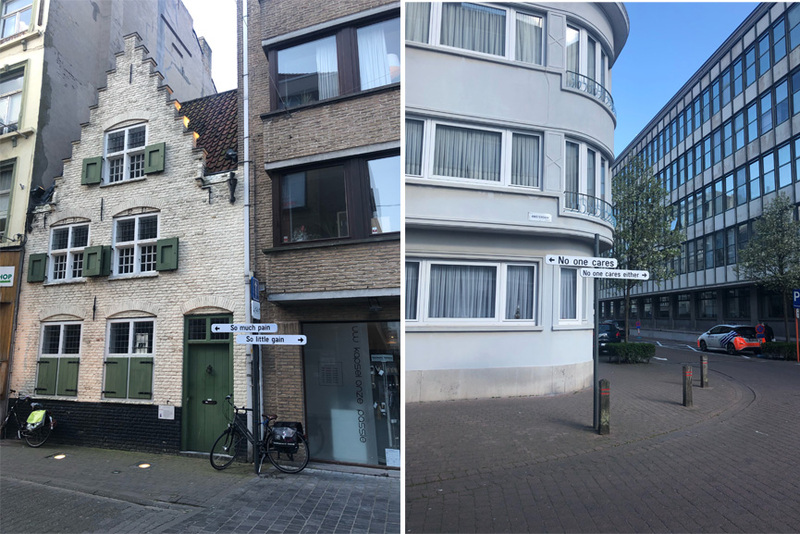 Back at the center of things, I also took the opportunity to check out all the street signs that were put up by Wasted Rita across town. If you’re even a little bit familiar with the work of this curious Portuguese artist, you know she is everything but conventional, and that what she does is tongue-in-cheek, to say the least. You can read our earlier interview with the artist here. 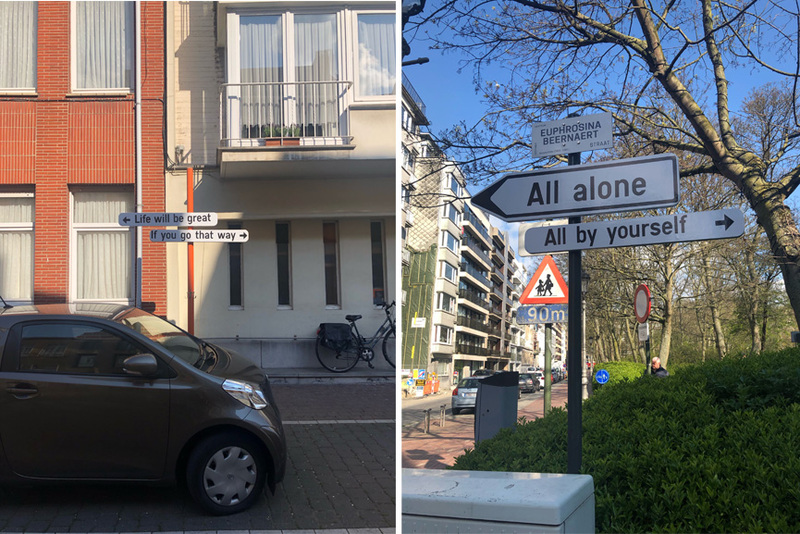 For The Crystal Ship 2019, Rita installed fake yet hilarious street signs that ooze with truth in quite a sarcastic way, and we couldn’t have expected nothing less. They seem to go perfectly well with The Dictatorship of Art theme and the fact that this festival is all about urban culture, which definitely go beyond muralism. Please be sure to check out all the pictures featured in our slider above. 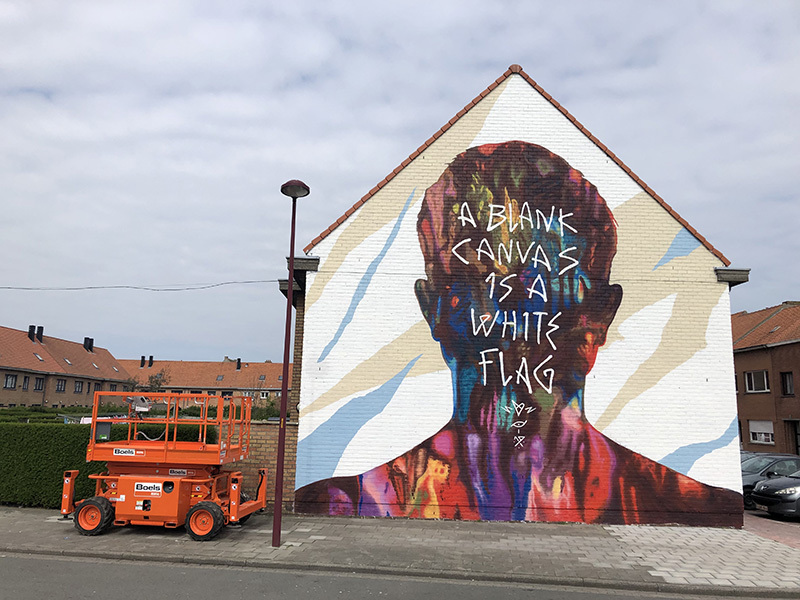 On the corner of Hoek Schietbaanstraat and Srgt De Bruynestraat, one can find a brand new wall by David Walker, one of two new walls overlooking the Spuikom basin in Ostend. It is a brilliant piece belonging to the artist’s signature portraiture portfolio. 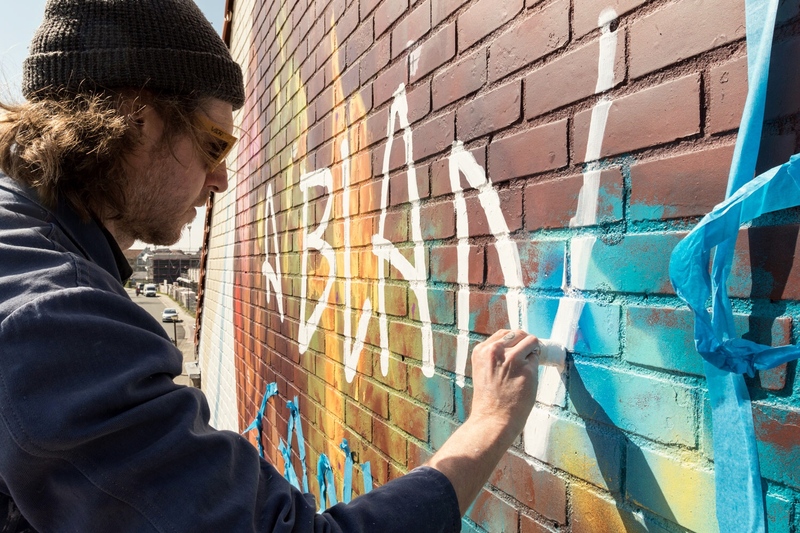 Walker was done painting before the festival started, and we were lucky enough to catch him and have him answer a few of our questions about the mural. 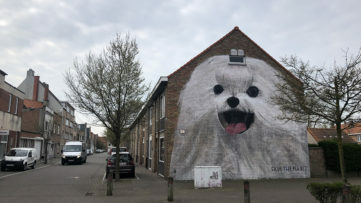 Widewalls: Let’s talk about the wall you did for The Crystal Ship in Oostende this year: is it in any way related to the city, or the festival? Does it follow the theme? David Walker: The text is from something I wrote around 10 years ago, but when the curator Bjorn told me about the theme, it made me think about it again. To me it ties in perfectly with the festival. Widewalls: Why that particular phrase? 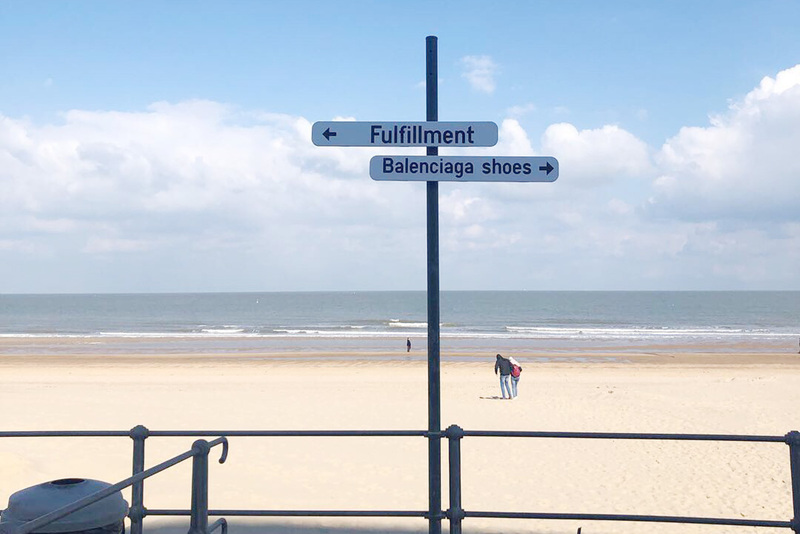 DW: The phrase ‘A blank canvas is a white flag’ for me is about simply keeping going, that if you are not creating work then you are surrendering to all the forces and realisms that make you want to stop. Widewalls: Is there a reason why this particular portrait is faceless? Does it belong to a particular series of works? DW: I wanted the portrait to be faceless as it’s more universal – it’s not this type of person saying this type of thing – it’s the everyman or woman. I’ve painted a few of these ’text heads’ in the last year or so and they are becoming a recurring theme. I’ve been writing for a long time so I am happy to be experimenting with incorporating this into some of my work. 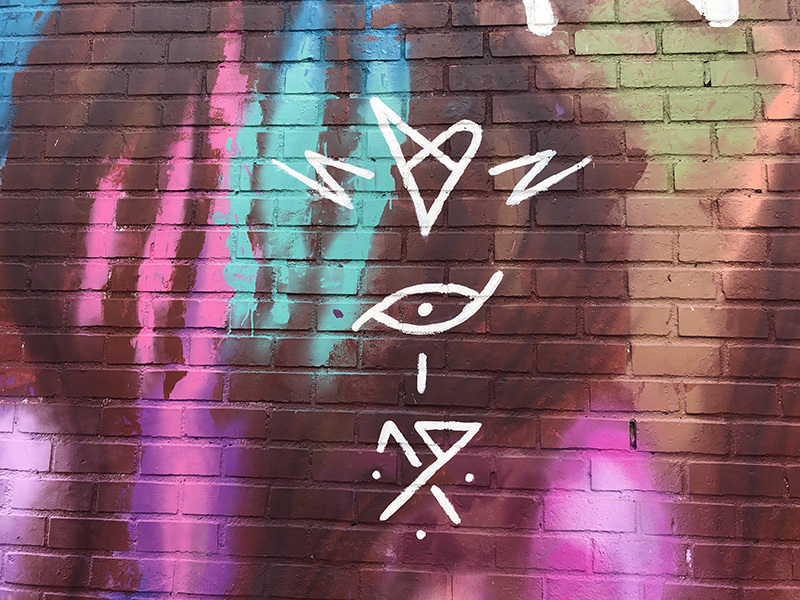 Widewalls: What are your thoughts on the festival this year? Is this your first time here? DW: It’s my first time at The Crystal Ship but not working with the team, we have dome other projects together. 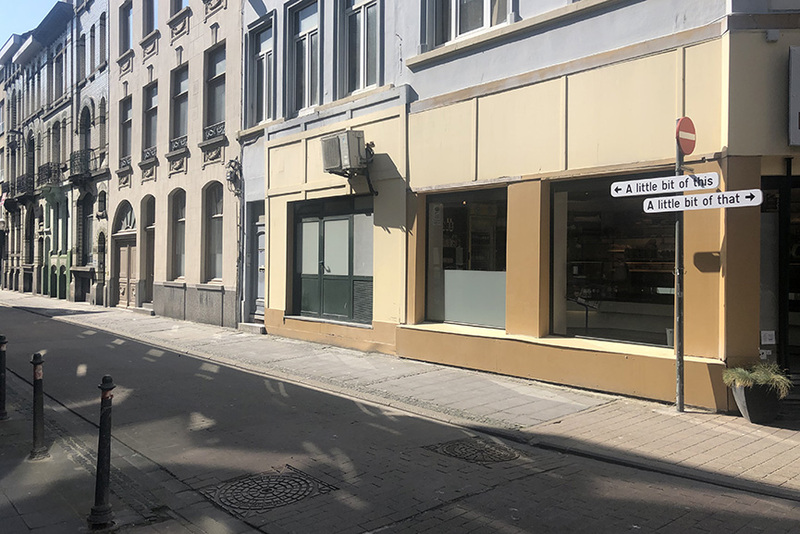 They do their job super well and create a really relaxed environment, they seem to understand how to get the best out of the artists and give them what they need to do so, its good to be here for sure. 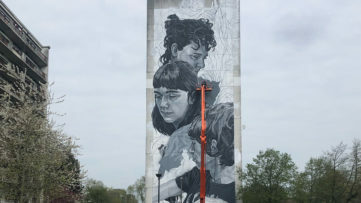 Widewalls: What are your future projects? DW: I’m actually disappearing to the countryside for a while to work in the studio, lots of new things I want to make, so that takes priority right now, i’ve not booked anything else in this year so I have time do so, this i’m really looking forward to. All images courtesy the author unless otherwise stated.